Feeling nostalgic to my childhood on this special day because I had the opportunity to meet Do As Infinity who will perform their best songs while promote their new single in their short visit in Nakama Festival, so called the biggest Japanese festival in Indonesia. 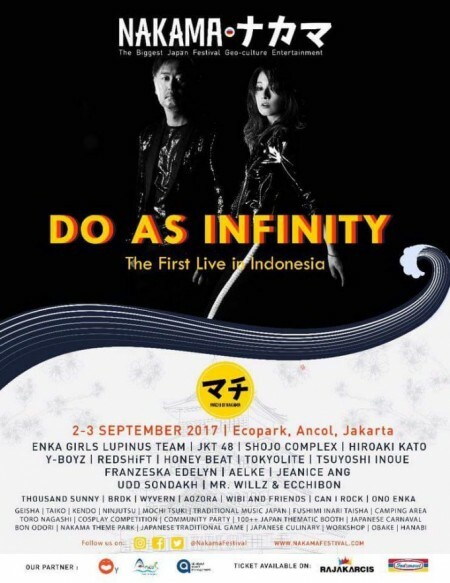 Do As Infinity had been popular in Indonesia’s Japanese lovers since their song “Fukai Mori” was played every Sunday in national TV as the soundtrack for famous anime Inu Yasha. 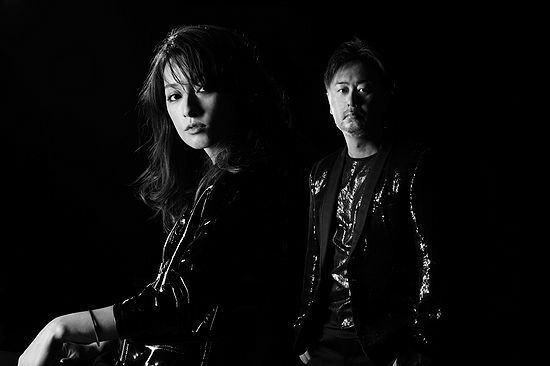 Hence, many fans can’t wait to watch the performance of Van Tomiko (vocal) and Ryo Owatari (guitarist) on stage for the first time in Indonesia. During the press conference, both Van and Ryo can’t hide their excitement to meet their Indonesian fans. They said because it was their first time coming to Indonesia so they’re looking forward to rock the stage. When being asked about Jakarta, Ryo-said said that it’s not his first time coming to Indonesia. He has been to Bali for holiday before and it was fantastic, so in the future he wants to try to visit another place in Indonesia. However, like everyone knows, Jakarta is crowded and he approved it after arriving in Jakarta. Meanwhile Van said that she’s surprised that even though Jakarta is the capital city, but she can see beach and beautiful spot in Ancol area. She also added that she wants to try many delicious Indonesian cuisine like Indonesian Nasi Goreng (fried rice) and Sate Ayam (chicken satay). Do As Infinity also wants to give special song for Indonesian fans. They will play their new song which hasn’t been released yet and that song was sung only once in Shinjuku, so this will be an honor for fans in Indonesia to listen to the unreleased song for the first time outside Japan. At the end, Van also explained of why Do As Infinity decided to come back in music industry. Van feels that she has grown a lot as an adult and learn to tolerate many things. She feels the love and support from the fans and staff even though she did a solo career. At some point, she and Ryo decided to do a reunion as the new reborn Do As Infinity. In the end, Ryo also gave tip that Van and him have the best chemistry when they drink together. It brought laughter to the press since Ryo’s so humorous with his answers. For fans, we hope that everyone can enjoy Do As Infinity performance in Nakama Festival tomorrow. Nakama Festival is going to be held in Ecopark, Ancol on 2-3 September 2017. The ticket is sold for Rp 165.000,- for single day pass and Rp.300.000,- for 2 day pass. Besides online (Rajakarcis and Nakama official web), fans can also buy the ticket at Indomaret convenience store.